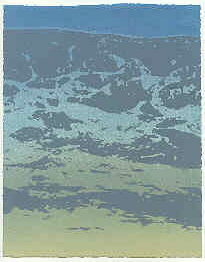 The American Print Alliance has organized an open portfolio of prints, paperworks and artists’ books by artists who are 2006 subscribers to Contemporary Impressions or members of our allied councils. One hundred and twenty prints were selected! 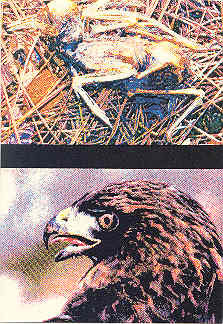 See a selection below (more scans to be posted soon). The first venue was at Appalachian State University in Boone, North Carolina, with the official opening during our Print Dialogue Day, Saturday, October 6, 2007. 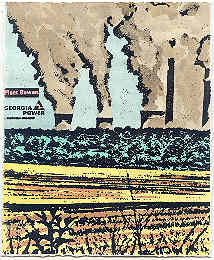 It will also be shown during the 2008 Print Dialogue Days, September 25-27 at SCAD-Atlanta. Environmental organizations are invited to show the portfolio at cost with no exhibit fee (i.e. just shipping and the cost of brochures). Please help our grassroots effort! Contact the botanical gardens and ecology organizations in which you are active, local offices of The Nature Conservancy, Sierra Club, National Audubon Society, etc., as well as your favorite “green” businesses. Ask the curators, owners or potential contributors towards underwriting a venue to contact director@printalliance.org. Schools, museums and galleries may schedule the exhibition at a nominal fee. 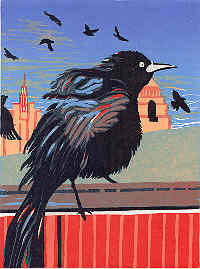 Sales of prints from the portfolio benefit the American Print Alliance exhibition program. The initial project to be funded will be posting the full September 11 Memorial Portfolio in a special section of our website and creation of a CD to give to each of the families. To check that a print is still available, please inquire by e-mail to director@printalliance.org; include your zip or postal code so that we can tell you the cost of shipping and insurance (usually about $10). Marie Weaver, Early Warning, 2004. 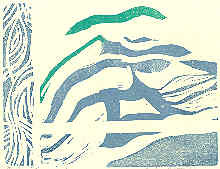 Woodcut, 7.875 x 5.875". $100. 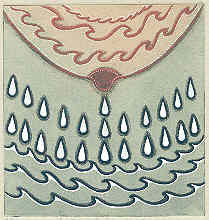 Melissa Kaup-Augustine, elemental, 2006. Accordian bound artist's book: letterpress, vintage wood type and polymer plates, 5.5 x 5.5 x .375". $125. 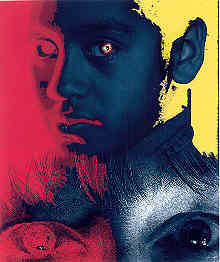 Christine Holzer-Hunt, Carlos on My Mind, 2005. Digital print, 10 x 8". $25. Peter Moore, It's a Big Problem, 2006. Screenprint and rubbing, 8.75 x 6.75". $300. 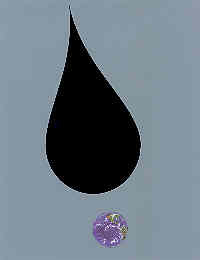 Lesley Patterson-Marx, Breast as Water, 2006. 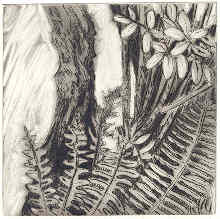 Polymer plate etching, 4.25 x 4". $200. 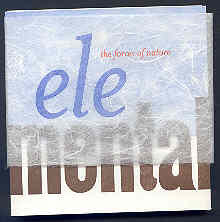 Richard Finch, A Connection for December, 2006. 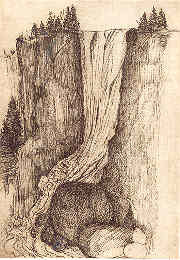 Lithograph, 4 x 6". $100. Susan Litsios, Aftermath II, 2005. 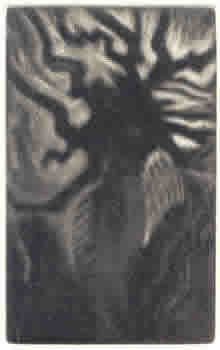 Mezzotint, 2.5 x 1.56". $145. 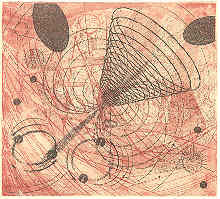 Rosalyn Richards, Pulsar, 2005. 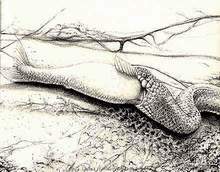 Etching, aquatint and soft ground with chine collé, 4 x 4.375". $50. Carol Strause FitsSimonds, White Melody, 2006. 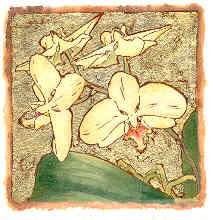 Photopolymer etching, painted chine collé, 12-carat white gold leaf, 3.25 x 3.25". $135. 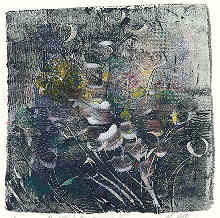 Barbara Gray, Night Grass, 2005. Gelatin monoprint, 6 x 6". $500. Craig Fisher, Goliath, 2006. 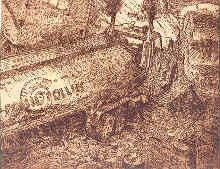 Digital print, 9.25 x 6.25" (edition 19 x 13"). $175. Aline Feldman, The Whole World, 2006. 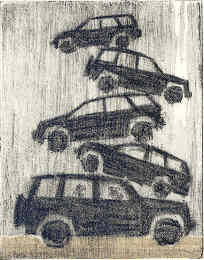 White-line woodcut, 10 x 8". $350. David Mohallatee, Untitled Landscape 659160, 2006. 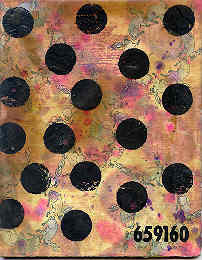 Inkjet print, leadtype, monoprint, chine collé, wood and wax, 10 x 8 x .25". $500. Catherine Kernan, Notes#10.3, 2004. Drypoint, 5 x 5". $125. Stephanie Somers, Harbor View, 2006. Etching and aquatint, 4 x 3.25". $125. Lynn Keffer, Pile-Up, 2006. 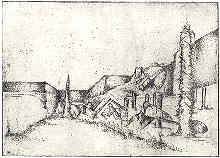 Etching with chine collé, 5 x 3.87". $75. Valerie Dibble, Blind Leafin' the Blind, 2006. 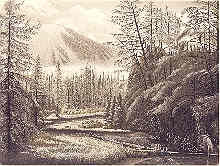 Lithograph with chine collé, 10 x 8". $100. Craig Fisher, Circus Maximus (Fossil Follies), 2006. 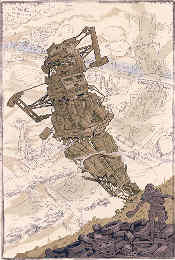 Etching and aquatint, 8 x 10" fragment from 18 x 24" print. $225. Clay McGlamory, Predator or Prey? 2006. Screenprint (water-based), 10 x 7". $50. 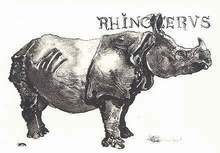 Caroline Thorington, Rhinoceros, 1996. Lithograph, 6 x 9.25". $225. 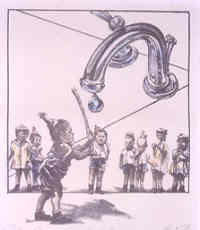 Christina Dean, Litter Kills, 2006. 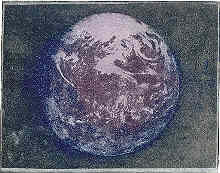 Etching (hard-ground line etch) and watercolor, 3 x 4". $20. Peter MacWhirter, Unto your hands they are given, 1993. Lithograph, 8 x 10". $200. 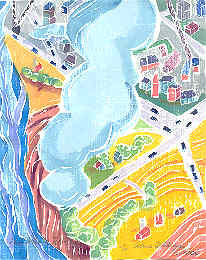 Barbara F. Adams, On a Clear Day, 2006. Block print, 6.18 x 8.18". $25. 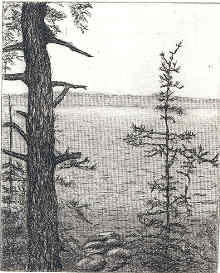 Betty Wood, Foggy Bog, 2006. Monotype, 7.75 x 8.5". $45. 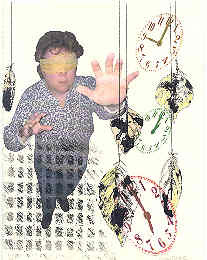 Joyce Harris Mayer, Are We Hanging by a Thread? 2006. 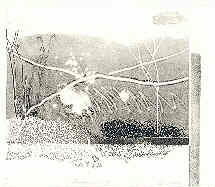 Pigment inkjet print, 9 x 6.38". $400. Alice Merlone, Rolling Waves I, 2006. Monoprint, 10 x 8". $200. Michael Marling de Cuellar, Southern Company, 2006. Gum arabic transfer, 10 x 8". $200. Deborah Mattson, Time Signature, 2006. 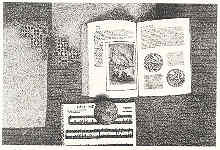 Hand-bound artist's book: etchings, 7.75 x 6 x .38". $75. Jean Cencig, Rivière Boréale, 2006. Etching and aquatint, 6 x 8". $105. 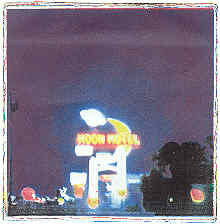 Angelo Paredes, Moon Motel, 2006. 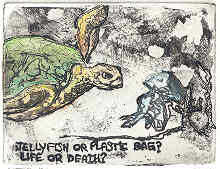 Etching (non-toxic intaglio), 7.25 x 7.25". $50. Sherry S. Bell, World View, 2004. Etching, 5 x 6.25". $95. 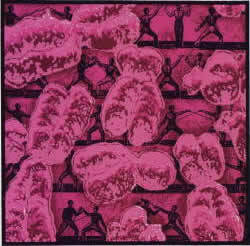 Kathryn Maxwell, Genetic Parry, 1999. Screenprint, 6 x 6". $80 or $40 for Contemporary Impressions subscribers. Curtis Bartone, Superfund, 2006. Mezzotint, 5 x 7". $400. 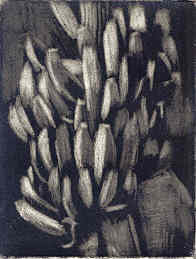 Maurice Margulies, Bananas, 2006. 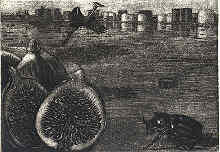 Mezzotint, 4 x 3". $125.